Pancakes are always a welcomed, weekend favorite. Fast and easy to prepare, any ingredient can be added to the batter to make many different pancake variations. Chocolate Chip Pumpkin Pancakes are super delicious.The key ingredient when making pumpkin pancakes is of course, the pumpkin. I like to use canned pumpkin because it’s so convenient. This recipe only calls for 6 tablespoons of canned pumpkin, leaving you enough left-over pumpkin to make pumpkin bread. 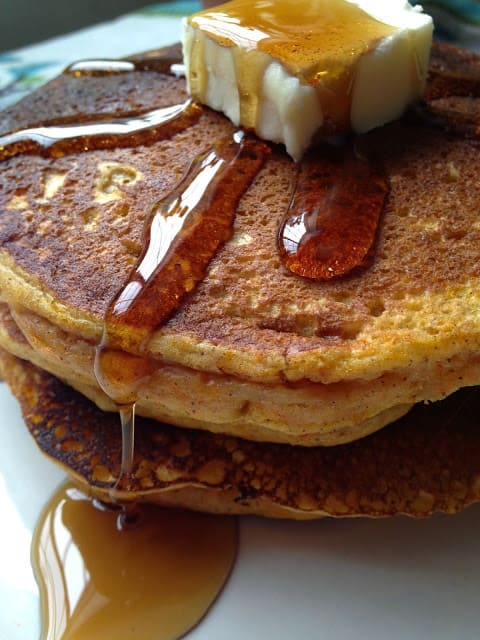 Chocolate Chip Pumpkin Pancakes wouldn’t be the same without the addition of pumpkin pie spice. If you use a lot of pumpkin pie spice, especially during the months of September, October and November you might want to consider making your own Pumpkin Pie Spice. Pumpkin pie spice is a combination or blend of warm spices that are most often associated with these “Autumn” months. Ground cinnamon, nutmeg, ginger and allspice are the most common spices found in pumpkin pie spice blend. Since you most likely already have these spices on hand, make your own pumpkin pie spice and save yourself a few dollars this holiday baking season. 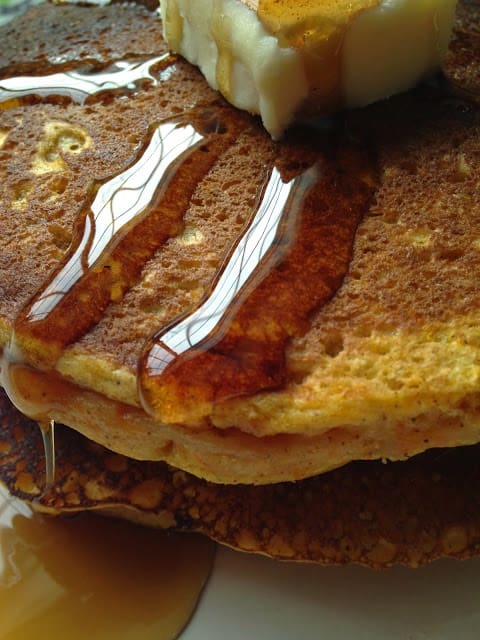 Pumpkin pie spice can be sprinkled on top of lattes, used in pumpkin recipes and added to maple syrup to give these pancakes even more pumpkin spice flavor. In a large bowl, whisk together flour, sugar, baking soda, pumpkin pie spice, and salt. 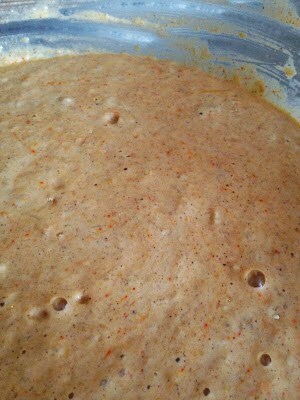 In a medium bowl, whisk together buttermilk, canned pumpkin, melted butter and egg. Add buttermilk mixture to dry ingredients. Stir just until combined. Let stand 5 minutes. Stir in chocolate chips. Heat a large griddle to 350° Lightly oil griddle, wipe excess oil off with a paper towel if nesscessay. 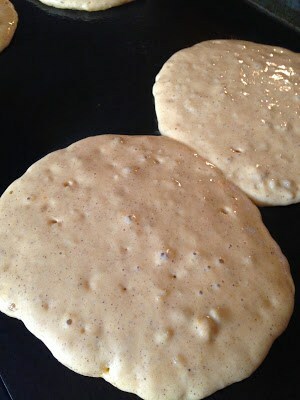 Ladle batter onto hot griddle. Turn pancakes over when bubbles cover the surface. Pancakes are done when browned on both sides. 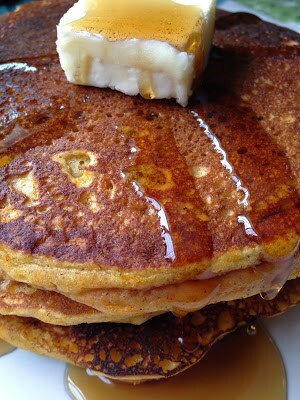 Chocolate Chip Pumpkin Pancakes are made with Libby’s canned pumpkin. Hi Lynn, How you doing? Sorry for not visiting all my blog friends. Will catch up will all of you soon. 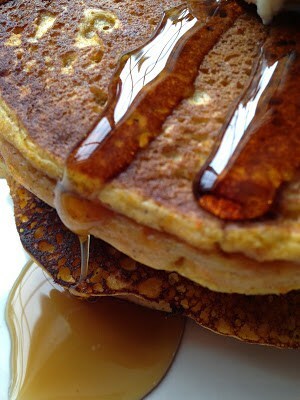 Love pancake with maple syrup or honey & butter. Yours pumpkin pancake look delightful. Thanks for sharing your recipe, I yet to try pumpkin pancake.